1979 is certainly a dividing line in my life. 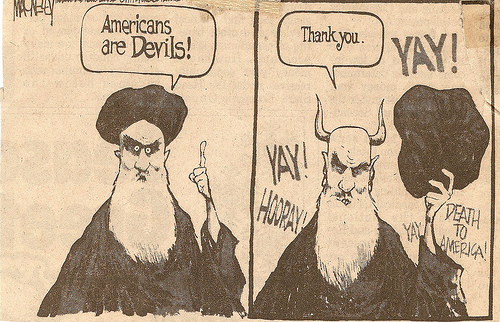 It was the year that Iranians stormed the embassy in Iran and took Americans hostage. This was quickly followed by the Soviet invasion in Afghanistan. I can remember thinking to myself, Why do the Iranians hate us so much and why would anyone want Afghanistan? Like most Americans, before I could actually formulate an opinion about Afghanistan, I first had to go find it on a map. If the hostage crisis didn’t sink Jimmy Carter’s presidency, certainly the utter failure of the rescue attempt hammered in the final nail. As a nation we were not used to feeling helpless in the face of a threat. We have always been a nation who firmly believes in never leaving a man/woman behind. It was disconcerting, maddening, to see Americans held hostage, and also to come to the realization that our government was helpless. The days became months and then years. 444 days. Americans would not have any significance as hostages if we didn’t value our own citizens. As a nation, we were all held hostage. Our faith in our government to protect us may not have been completely shattered, but it was most certainly compromised. Steve Coll masterfully picks up the story in 1979 and brings it forward to 9/11. War, as we knew it, had changed. Even the Cold War, which was the byproduct of the dementia of two superpowers, had somehow satisfied the needs of those in power to wage war without actually, officially declaring it. As baffling as that time was, it is strange to feel so much nostalgia for it. It was an arms race, a war of brains rather than brawn. The invasion of Afghanistan changed the rules and left the Soviet Union vulnerable to fighting a lot more than a few ragged, underfed, undereducated poppy farmers. William J. Casey was the head of the CIA at this time. He still saw the Russian Bear as the greatest threat to America, and it was the reason he joined the organization. Ronald Reagan, as president, is a fervent anti-communist, as can be seen from many of his speeches going way back to when he was president of the Screen Actors Guild. The final piece to the puzzle that had to fall in place was one alcoholic, charismatic representative from Texas in need of a cause by the name of Charlie Wilson. You’ve heard the term Charlie Wilson’s war? Well, he gave it to us. America went to war with the Soviet Union. Well...not technically. They funnelled money, loads of money into Pakistan. (Carter offered President Zia of Pakistan $400 million, which he rejected. Reagan offered him $3.2 billion, which he accepted.) The region was choking on all the money. America was intent on buying an embarrassing defeat for the Soviet Union. The CIA had to get creative though, because it wasn’t like we could outfit these Afghanistan rebels with weapons stamped with MADE IN AMERICA. Somebody had the bright idea to go scoop up all those Soviet tanks and weaponry that Saddam Hussein left scattered all over the desert when he retreated from Kuwait. They refurbished them and handed them off to “our allies” in Afghanistan. I always enjoy a good recycling story. Of course, the turning point came when we decided to let the rebels use Stinger missiles. What this all really adds up to is a destabilized region that has become ripe for a lunatic with an endless supply of money and an ego the size of Jupiter to take over. Need more hints? He was frogmarched out of his native country of Saudi Arabia and stripped of his citizenship. The average height of a man from Saudi Arabia is 5’6”. He was almost a foot taller. He’s kind of an a$$hole. 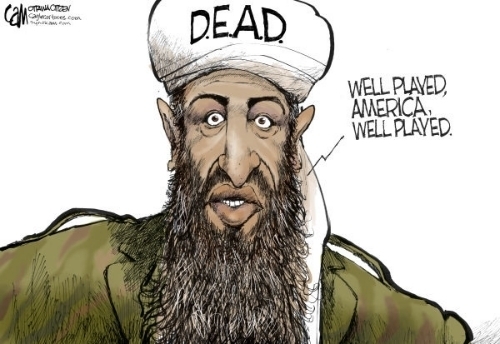 The one and hopefully only Osama Bin Laden. In the 1990s, America was going through a crisis of faith with the CIA. They were forcing veterans into early retirement and reducing the level of government commitment to the spy service just as Islamic terrorism was on the rise . If not for the emergence of George Tenet, the spy service might have slowly circled down the drain. 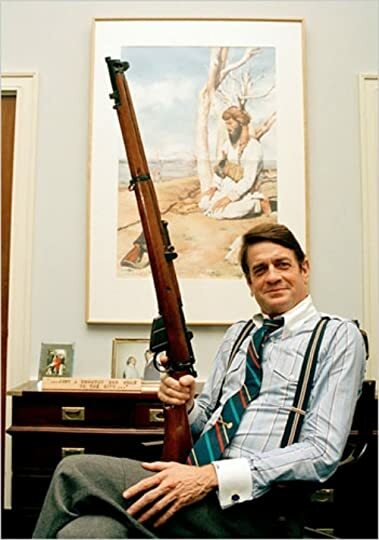 He was exactly what the CIA needed, a gregarious, likeable man who knew how to talk politics. Despite distractions from other world crises, including a near career ending domestic crisis involving a cigar and a blue dress, President Bill Clinton made several attempts to capture Bin Laden. He shot cruise missiles at him. 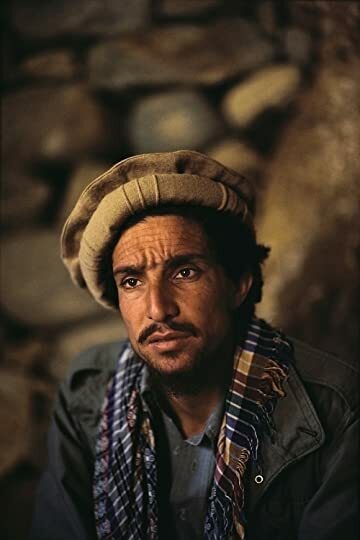 He had the Persian Lion contacted, Ahmed Shah Massoud, possibly our best ally in Afghanistan, about a plan to take Bin Laden out. 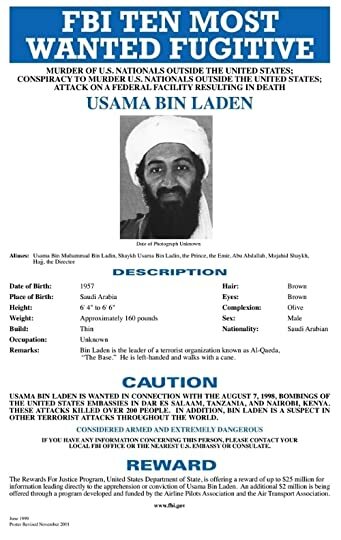 Unfortunately, American politics played a big part or most of us might never have known the name Bin Laden. America relied too heavily on their two closest allies in the Middle East. ”Instead at first out of indifference, then with misgivings, and finally in a state of frustrated inertia--the United States endorsed year after year the Afghan programs of its two sullen, complex, and sometimes vital allies, Pakistan and Saudi Arabia.” These were two countries that had their own agendas with Afghanistan. Sometimes they helped America, and sometimes behind the scenes they were working against them. Power was achieved through attention. It makes me doubt that their true intentions were as purely religiously motivated as they would like us to believe. They wanted to provoke the United States into attacking them. It wasn’t about revenge as much as it was about achieving glory through blood. Richard Clarke the American guru on terrorism. As the Clinton administration was winding down, it became easier to start kicking decisions regarding terrorism and other policy issues down the road. Clinton didn’t want to make decisions that George W. Bush would have to live with. Bush, on the other hand, was almost punch drunk with a narrow presidential victory. 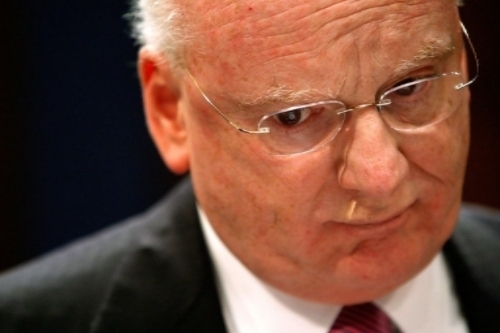 Richard Clarke, the guru of terrorism under Clinton, had a hard time getting the attention of Bush or his National Security Advisor, Condoleezza Rice, about the pending threats of terrorism. 2001 turned out to be a bad time to be switching administrations. Steve Coll, step by step, takes us through the minefield of the Middle East. He shows the mistakes and why they happened. He explains the intent and why sometimes America was right and sometimes very wrong in their approach to problems. We were slow to understand the motivations of certain individuals. Sometimes we were too proud to see how vulnerable we were. Sometimes we meddled in things best left to a regional conflict. You will see each president, possibly in a different light, as Coll explains the politics and the underlying concerns behind their decisions. The Persian Lion had a vision for his country. This is a book that, as I was reading it, I heard the snap of so many missing blocks of information fall into place. My understanding of how and why things happened the way they happened expanded exponentially. Our relationship with the Middle East is a complex and convoluted mess with misconceived and misinterpreted intentions on both sides. This is a serious book, well written, and meticulously researched.